Another little game I made, together with Alex Boccia (https://itch.io/profile/microsoftsam), for a rapid prototyping course (we had 6 days for this). The restriction for this project was, that only 5 colors were allowed to be used and the game must use only one button. We decided to get into Processing and Java for this project, because we wanted to make an endless runner with some neat visual effects to the Prince song "Purple Rain". The idea was to challange us to really get into code programming. 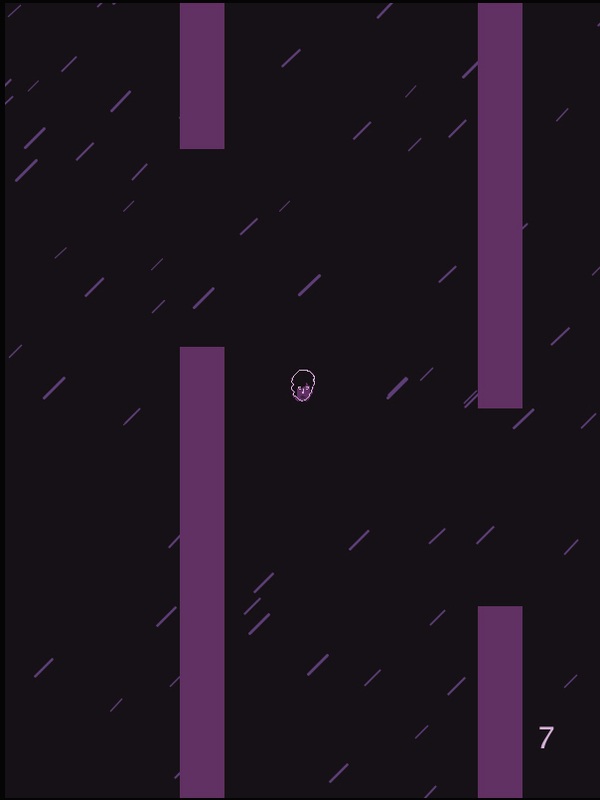 Well, in the end, we had to cut down and ended up doing a flappy bird clone ... with purple rain. The player character is supposed to be Prince's head. Of course we had to cut the original song for this upload, but if you wanna flap through some Purple rain properly, just mute the audio of the game and hit play on that old Prince record we all know you still have somewhere. Just unzip and run purple-rain.exe.